Righteousness was a part of the operating system of Joseph’s soul. He was a righteous man, not about do-gooder, but right about seeking God. 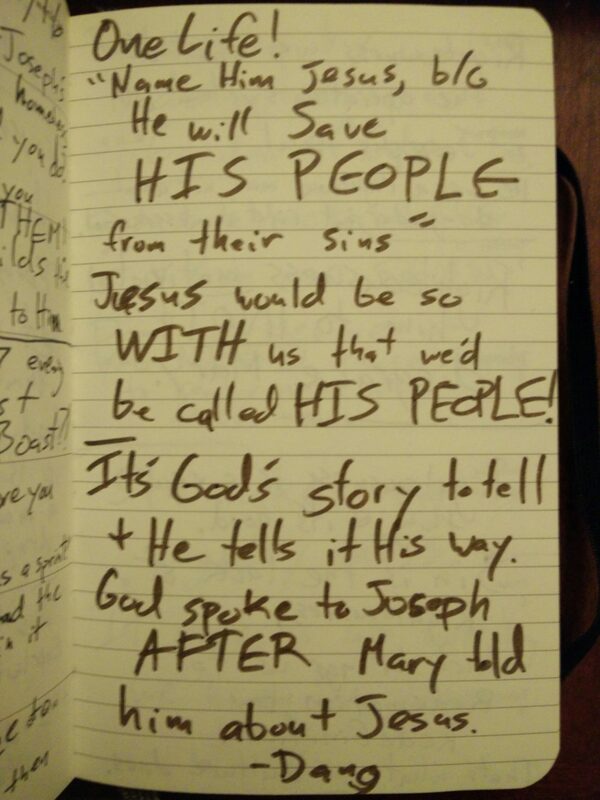 It’s God’s story to tell and He tells it His way. God spoke to Joseph after Mary told him about Jesus – DANG! 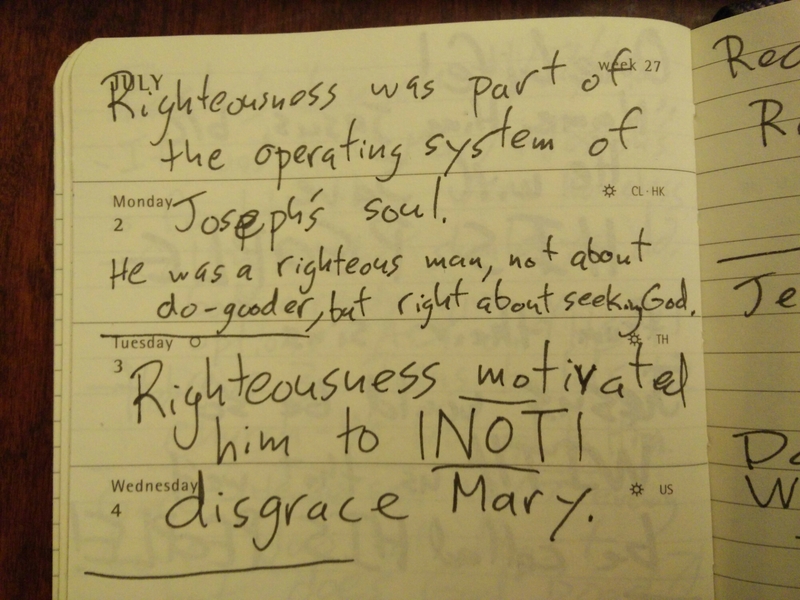 Righteousness was a part of the operating system of Joseph’s soul. He was a righteous man, not about do-gooder, but right about seeking God. 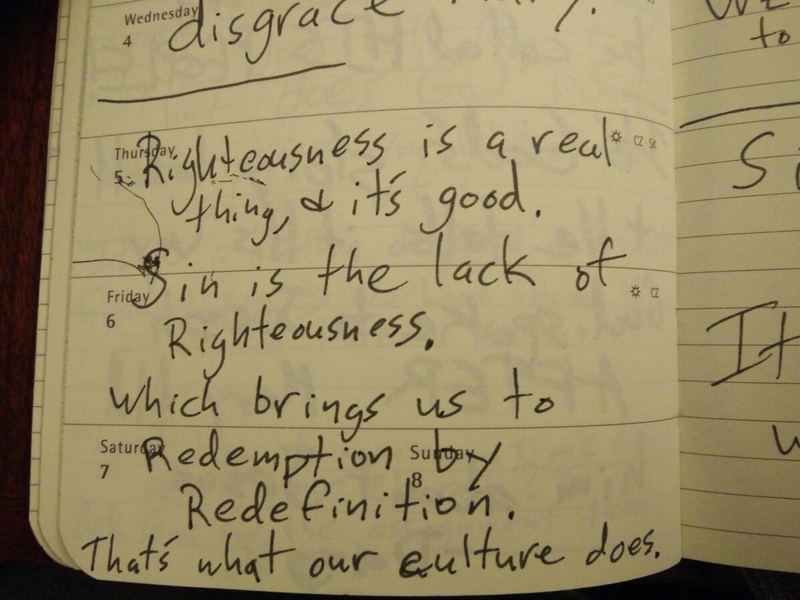 Righteousness is a real thing and it’s good. Sin is the lack of righteousness. Which brings us to redemption by redefinition. That’s what our culture does. 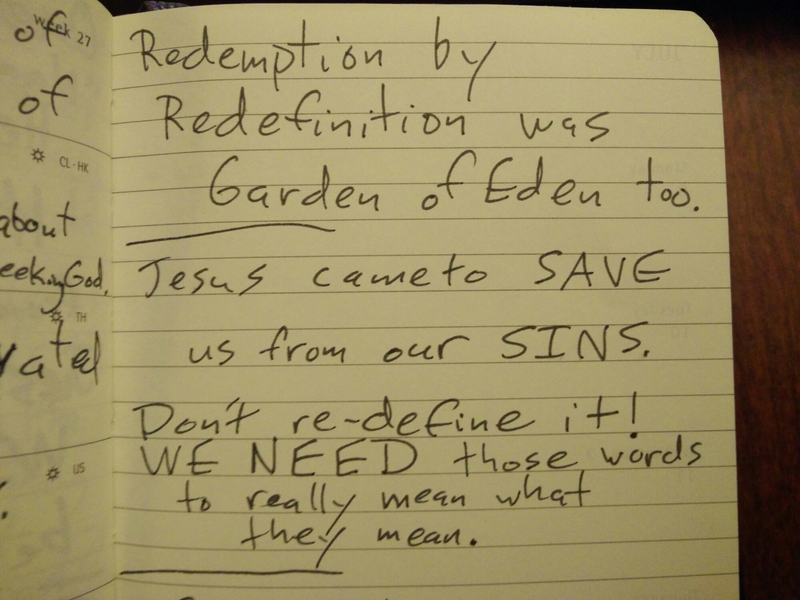 Redemption by redefinition was in the Garden of Eden too. Jesus came to SAVE us from our SINS. Don’t re-define it! We NEED those words to really mean what they mean. Sin makes an ungodly mess. It messed up everything we use to clean it up. That last note was from this video below. It was pretty moving.